The incident took place in Fazilia colony (a small town) Lahore on June 12, 2016 during the Sunday service (routine) at about 11:30 am when a local Muslim Shabir Shah registered a complaint with Lahore mobile police making a telephone call at the emergency number of police 15, against the Pastor and said that Christians should stopped worshiping in the church as he got disturbed by the music and choir. 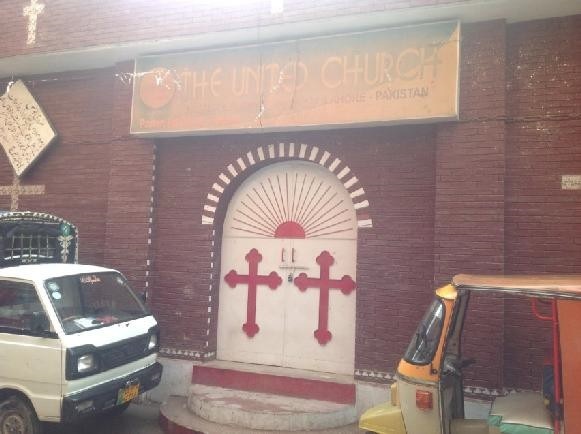 On the said complaint, a group of armed policemen arrived at the spot, forcefully entered in the United Christian Church Fazilia Colony, shouted over the congregation and beat pastor severely. 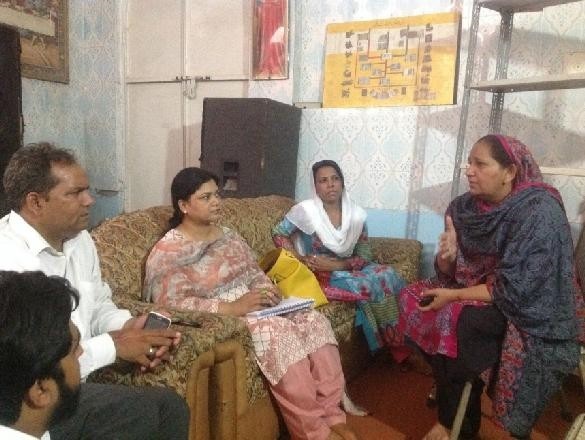 CTS team visited Fazilia Colony Lahore on Tuesday June 14, 2016 and met Pastor Riaz Rehmat and a few locals for solidarity and recorded the following information. She informed that Fazilia Colony is populated with about 500 Christian houses where as more than 6000 Christian families live surrounded by thousands of Muslims. 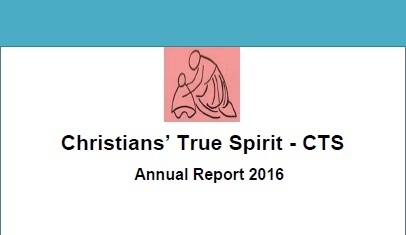 Local Christians belong to different congregations including Catholic, Pentecostal and Protestants. There are three churches established in Fazilia colony including “Church of Christ”, “Pentecostal Church” and “United Christians Church”. 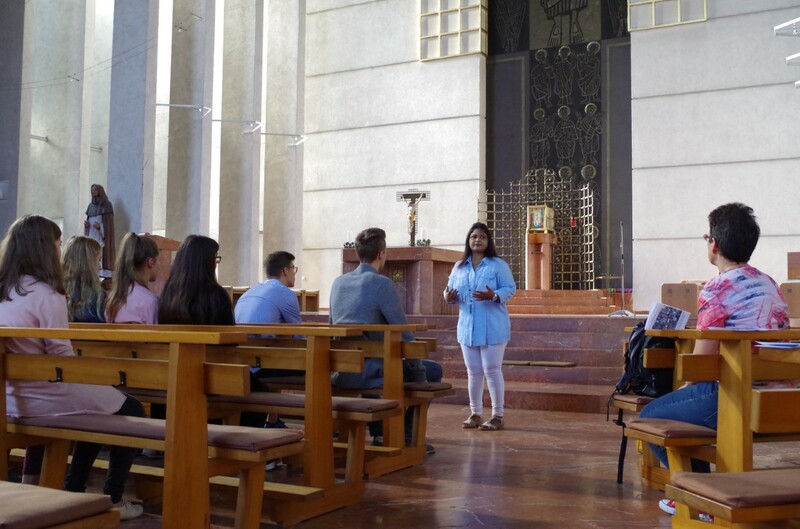 She further stated that Sunday is considered as a dedicated day of the week for the Christian world when they gathered in the Church to celebrate Holy Mass, to worship, and to pray. 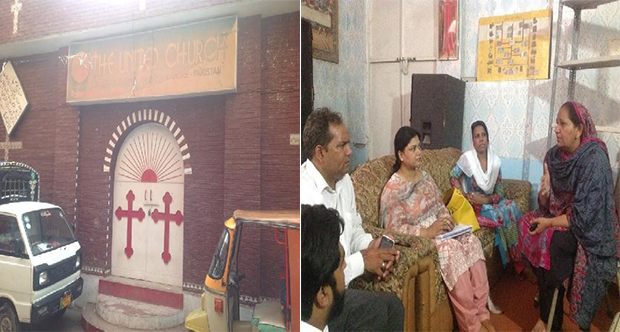 Similarly, on June 12th, 2016 when the local people of Fazilia colony gathered in United Christian Church for worship, three or four Policemen from the local police station were already deputed as church security that comes every Sunday to provide security to the Church. Everything was going well and peacefully. 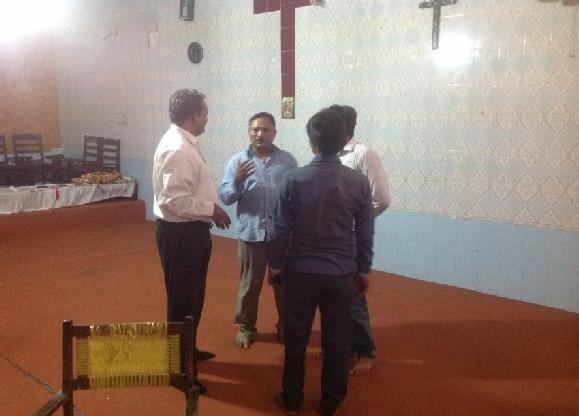 Pastor Riaz Rehmat was leading the prayer meeting, and they just started worship in the church when an armed policeman entered in to the church and shouted on the choir and banned Christians for plying music and singing hymns. The policeman manhandled the Pastor and started shouting over the worshipers; the people gathered in the church about 200 including children became afraid of the police. The children started crying because of the happen, Pastor tried to control the police and asked him to be calmed down and go out of the church because he was humiliating and disgracing the church room. Rizwan Aslam another local informed CTS that after the incident the news spread in the area and Christians from other churches and the other places also gathered at Fazilia Colony. They staged a protest demonstration against the incident of harassing Christian worshipers by a policeman during Church service and beating Pastor. 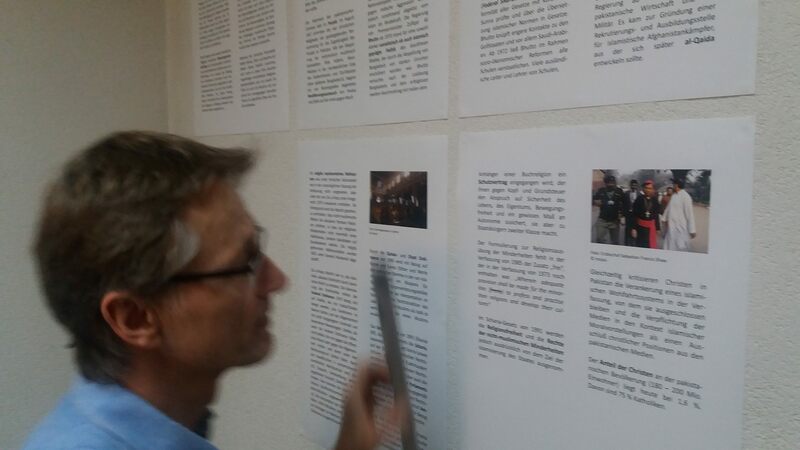 The Christians demanded a legal case registration against the accused policeman and his immediate arrest for humiliating Church premises as well as leaving terror among the Christian community especially children. Christians blocked the main Ferozpur Road and totally blocked the traffic as they demanded for justice. The protest was called off when the Deputy Superintendent of Icchra Police Station (local) DSP reached the scene and assured the protesters of legal action against the policeman responsible for the sacrilegious assault. They urged that the perpetrators should be charged of desecrating the sanctity of the church, and interrupting in the prayer service. 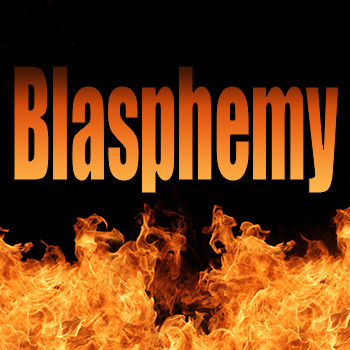 “God forbidden, if a Christian would have committed such sacrilegious act, he would have incriminated of charges as relentless as blasphemy and according to the terrorist act and others,” Christian protesters complained. Pastor Riaz Rehmat aged 45, serving in United Christian church since the time of his youth as his forefathers established this church about 50 years ago and property does belong to his grandfather’s legally and Pastor Riaz owned the original documents of the property as well. About 200 Christian families are registered as member in this church. Christian and Muslims lived together since decades at Fazilia Colony as their houses are adjacent to each other. For last few years the Muslims started creating problems for Christians by filing police complains against the churches and the pastors. “I am facing private case by the Muslim neighbors who says that the church should be stopped in this colony” said Pastor Riaz. He further stated that a few Christians also annoyed to him as he has his private residence at the church roof where he lives along with his wife aged 35 years, and three kids two daughters and one son. The United Church had celebrated its 50 years as it is the oldest church in the area but unfortunately such incidents are damaging the peaceful coexistence. However, three days passed, neither the First Information Report was registered nor the accused was arrested by the police. Pastor Riaz and other local Christians went to the police station repeatedly but the police made lame excuses that the accused policeman was from some other police station (Qurban lines Lahore) and also this is a case which should be dealt by the police department. 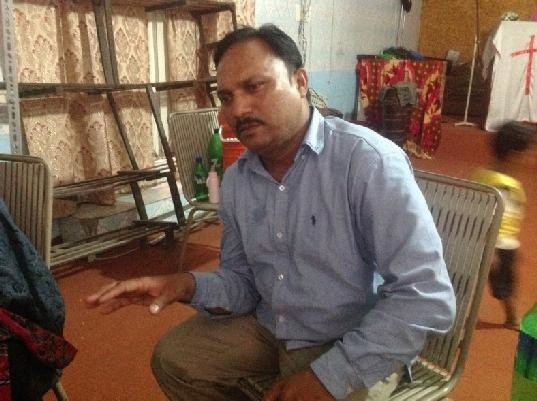 The local police station police assured Pastor Riaz that they condemned the incident but they said that it was a matter of department, and informed that accused policeman has been suspended and an FIR would be lodged against him after an investigation by the high officials in the department. Therefore local police was unable to take any legal step against the culprit even after Pastor Raiz Rehmat submitted a written application for the registration of the case against the culprit. Pastor Riaz disclosed the matter with CTS team that one of the local Muslims called Shabeer Shah who live opposite the church called emergency police by dialing – 15 (police help line). He complained the police that due to the church service he and his family gets disturb, although the speaker system of the church is only for inside. 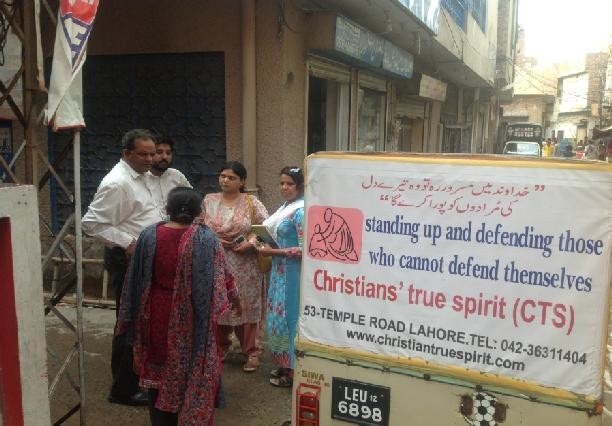 CTS team was informed that Different organizations and NGOs came at the scene and spoke to locals and Pastor Riaz, one of Christian Member Punjab Assembly Ms. Merry Gill (representative Pakistan Muslim League N) also approached to the relevant Pastor Riaz Rehamat and suggested the pastor and community for not highlighting the matter and Christians do not need to be offensive. They should live in Peace and love among the Muslims. Although, according to Pakistan’s constitution, freedom to practice faith is a fundamental right that could not to be denied. And such incidents showed that state has had failed to protect the members of minority’s communities. The Policeman’s action reflected deep resentment and religious prejudice which is condemnable, but the Church securities (deputed local police) was remained silent on the matter and did not dare to stop the accused policeman for the wrongful act. Punjab police has a bad image as they had influence of PMLN, they are suspected being supported by Pujnab Government for terrorism and called as goon. CTS team showed solidarity with Pastor Riaz Rehmat, and ensured for any kind of legal help by CTS, if needed.